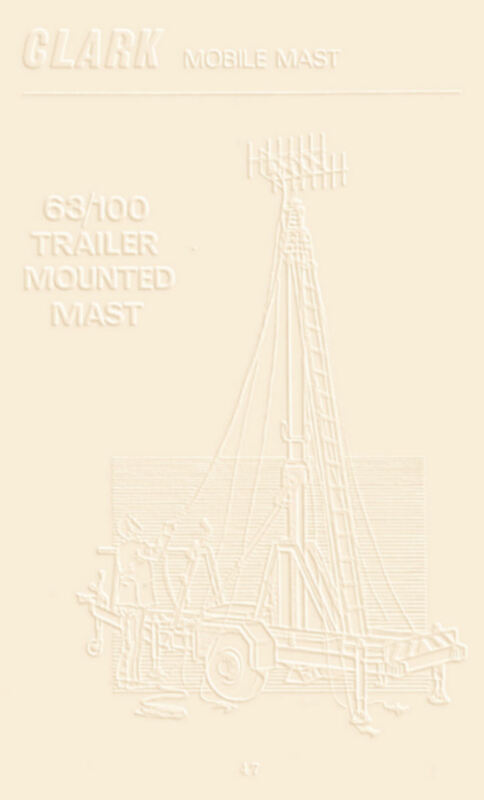 Illustrated in this web page, for historical purposes, is the model PB1 Vehicle mounted Mast page from Clark Masts early 1970's catalogue. The Clark Masts PB1 vehicle mounted mast of the late 1960's - early 1970's was designed to take heavy duty loads, being a unique mast based on their WT mast series. 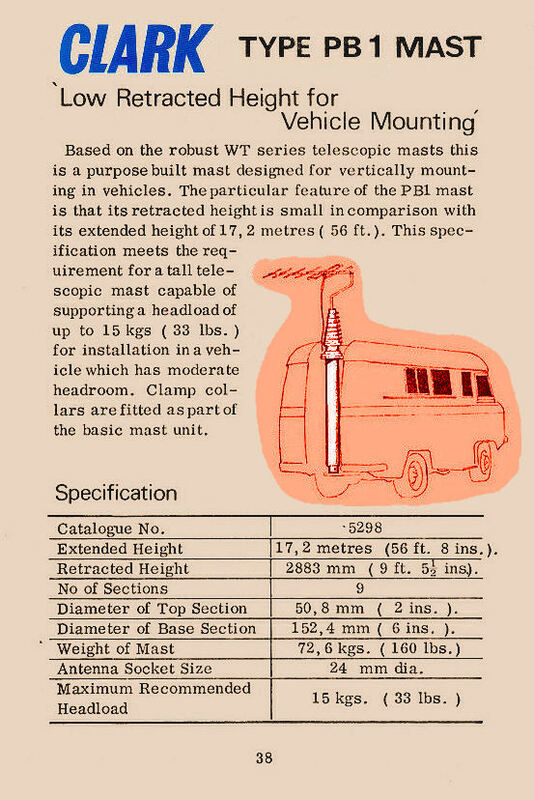 The model PB1 was a low profile mast (retracted height was only 2.8 metres) with allowed it to be conveniently vertically mounted on a small van or other similar vehicle. Like all other WT Series masts the PB1's mast sections were keyed to prevent inter-section rotation, making it suitable for use with directional headloads. The PB1's extended height was 17.2 metres using 9 sections which provided a retracted height of 2.883 metres. The base tube diameter was 152.4 mm (6") and the mast had a headload capability of 15 Kg. A vehicle powered Air Source/Mast Controller was required for mast extension/retraction.